Created using Coelix Apex Software. 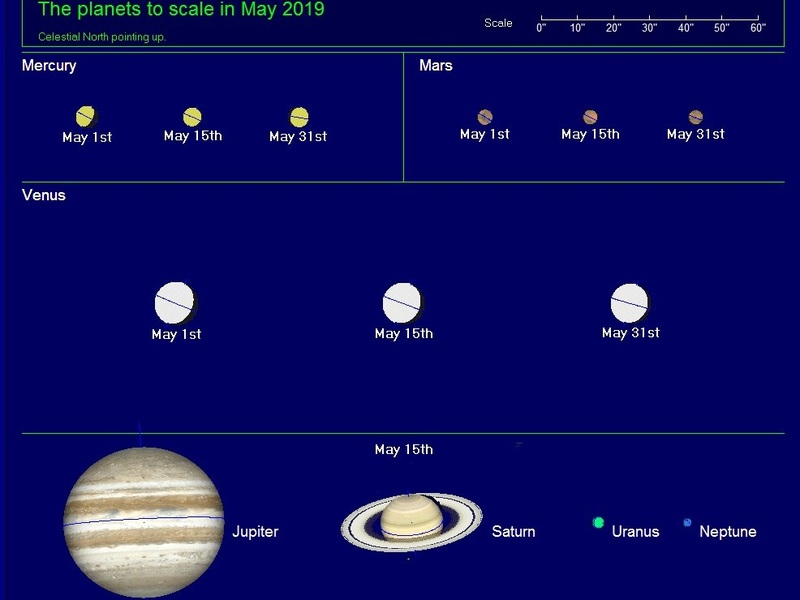 The angular size and the appearance of the planets compared, SEPTEMBER 2018. Click the image to enlarge, if needs be. In an astronomical telescope, the image of the planet is often reversed.